Grandma's Knitting Place: More Bird Pictures! 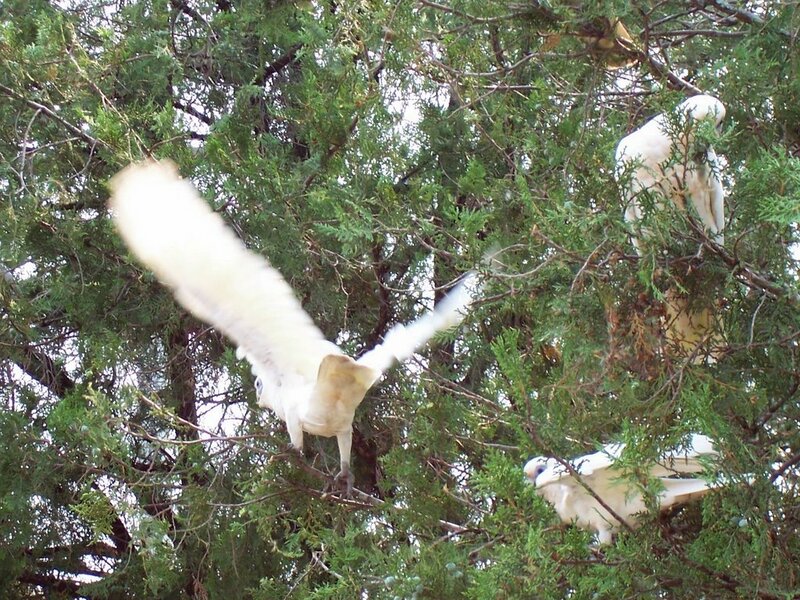 Yes more bird pictures - and even more to come!! We live in the sub tropics and of course have a lot of different varieties of parrots here. 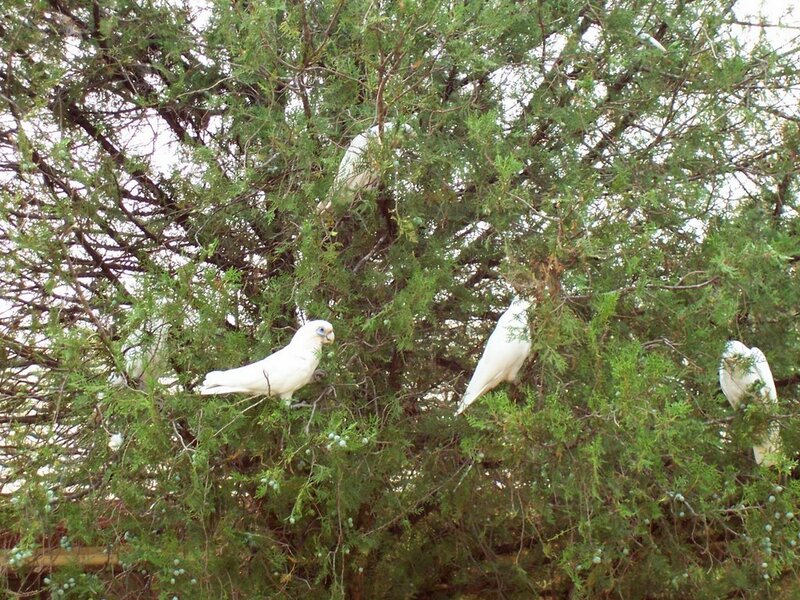 These are a cockatoo - a Corella - and they flock together in great numbers - they particularly like a small conifer that has these grey-green little fruits - like a small nut - on them. I took these on Friday 1st December in Caboolture, would you believe, across the road from the entrance to a shopping centre car park!! 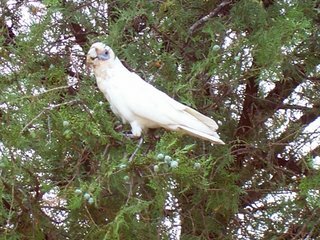 This lovely fellow was too busy feeding his face to worry about me - although he kept an eye on me while munching on his pine nut! I am always surprised though by how used they have become to human beings generally. I suppose they don't really have too many enemies - apart from the odd cat but then a cat that would take on a Corella would be a pretty desperate feline! 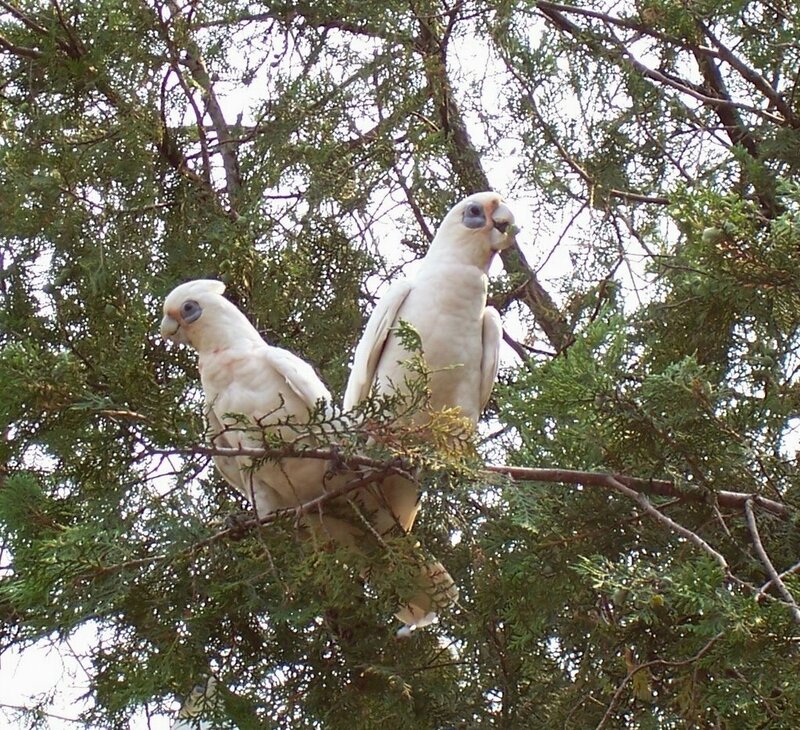 They are not as big as the Sulphur Crested Cockatoo, who have that marvellous yellow crest that they raise up and down in all its glory. These cockatoos are pale yellow underneath their wings and tail, and a have blueish marking around the eye and a pink blush under the throat and above the beak. These are particularly plump and well fed!! I think we are so lucky to live here!! All we need is a huge cloudburst of rain - and life would be perfect! !